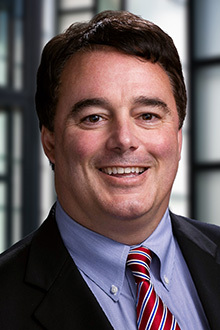 Christopher Tauro is the managing partner of the Boston and Hartford offices of Lewis Brisbois and a member of the Products Liability Practice. He represents a broad spectrum of clients including Fortune 500 companies, insurance companies, small businesses, and individuals. Mr. Tauro focuses his practice on the defense of manufacturers, contractors, retailers, suppliers, and premise owners in products liability, toxic/mass tort and general liability litigation. Mr. Tauro has extensive experience in managing client’s needs from the investigation through trial. Mr. Tauro's primary goal is to provide clients with solutions to reduce and eliminate risk of liability and exposure/damages. Prior to entering private practice, Mr. Tauro successfully managed and litigated hundreds of cases as an Assistant District Attorney and then an Assistant United States Attorney in Massachusetts. Mr. Tauro successfully argued and won a landmark decision on a motion for summary judgment based on the Statute of Repose which eliminated the majority of claims for the client in the Massachusetts Asbestos Litigation. Mr. Tauro won a dismissal for an international oil and gas company in a products liability case after gathering evidence during discovery which undermined the plaintiff’s claims. Mr. Tauro won summary judgment in a federal wrongful death case for alleged fatal exposure to vinyl chloride brought against his client, a Fortune 500 chemical company on the sophisticated user defense.